Next PostNext 1009. 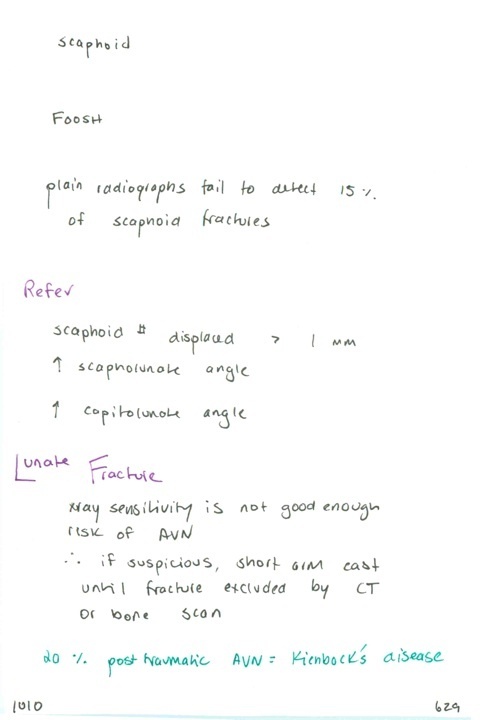 Which carpal bones are a particular risk for avascular necrosis after fracture and why? / How far distally should the radial styloid extend beyond the articular surface of the ulna? / What is the normal ulnar slant of the distal radius? / What is the normal anterio-posterior tilt of the distal radius? What bones line up on a lateral view of the wrist?